It’s a well-known fact now that the world as we know it, is struggling with the problem of plastic, so when one hotel decided to take a step back to look at its plastic usage and subsequent waste, they were shocked and decided that enough is enough! And now, Buckingham Place in Tangalle, is keeping a close eye on their plastic use in an effort to minimize it as much as possible. 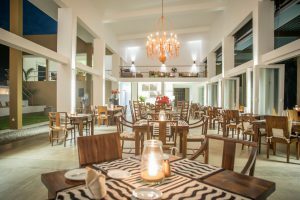 In August, this chic minimalist hotel, located a short walk from the Tangalle beach, embarked on a journey to almost completely phase out the purchase and use of all plastic and polythene items that cannot be used for more than six months. Roughly three months down the line, Buckingham Place is close to their goal and are thrilled to have eliminated an unbelievable amount of plastic that would have otherwise gone to a landfill somewhere. Guests at Buckingham Place have been supportive and we’re sure that many employees at this awesome boutique hotel have been inspired to change their lifestyles. Although Buckingham Place is a rarity in Sri Lanka’s hospitality industry, it’s encouraging to note that an increasing number of hotels are being more responsible and making changes to be more environmentally friendly. 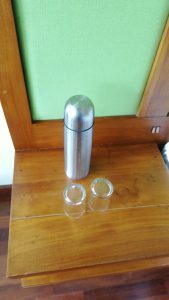 One of Sri Lanka’s largest chains, the Jetwing Hotels, has already started eliminating plastic water bottles and straws, amongst many other things. On a recent trip to a few hotels along the South Coast, we noted that most new villas are keen to start out on the right foot and have therefore invested in eco-friendly options at the outset. The Why House in Galle also recycles as much plastic as possible, composts their biodegradable waste and has solar panels to facilitate hot water. The Why House pool uses UV to reduce chlorine and grey water is used for gardening. With the menace of plastic pollution now blatantly staring us in the face, we can no longer stand by and do nothing about it. The Red Dot Team’s recent familiarization trip to Jaffna along the North West coast was one of a kind, and a first of many more to come. We aimed to use zero single-use plastic bottles and instead requested each person to bring along their own refillable water bottle and arranged with the hotels we were visiting to have them refilled if required. In addition, we also took three 19-litre bottles with an electric pump, so we always had a backup plan! We’re thrilled to say, this is the first such trip we’ve done and everything went smoothly, avoiding the use of at least 100 small plastic bottles. We are indeed glad to see many hotels making changes to become more environment friendly, but do keep in mind that each of us also has the power to make a positive impact daily!